How are you? Enjoying the summer heat? If so, I have the perfect summer splash cards for you! 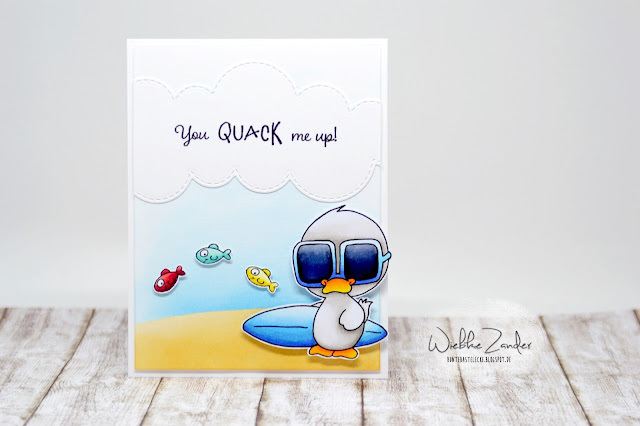 :) Have you already played along in the Instagram Surf Challenge with this little ducky?! 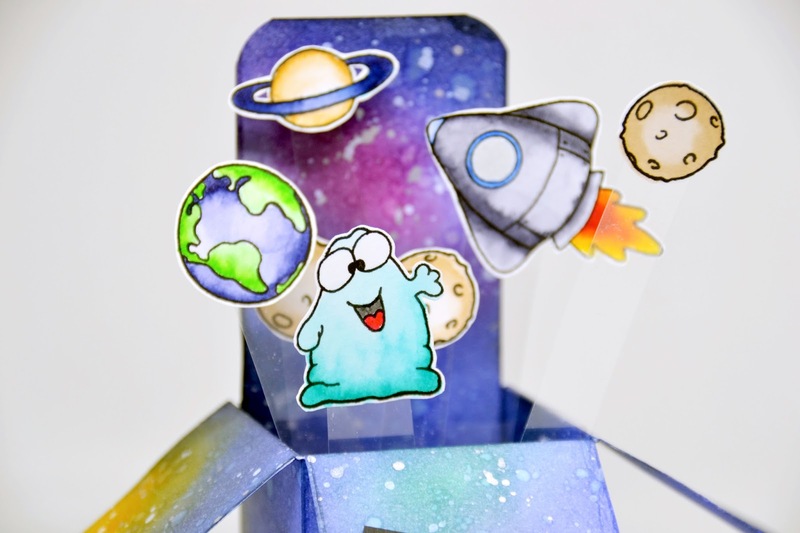 You can enter your projects until tomorrow to have a chance for winning the upcoming new stamp set. 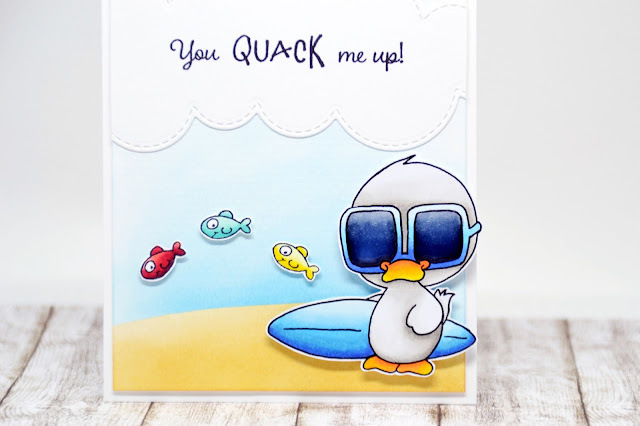 Simply add the hashtag #surfingducky to your card! 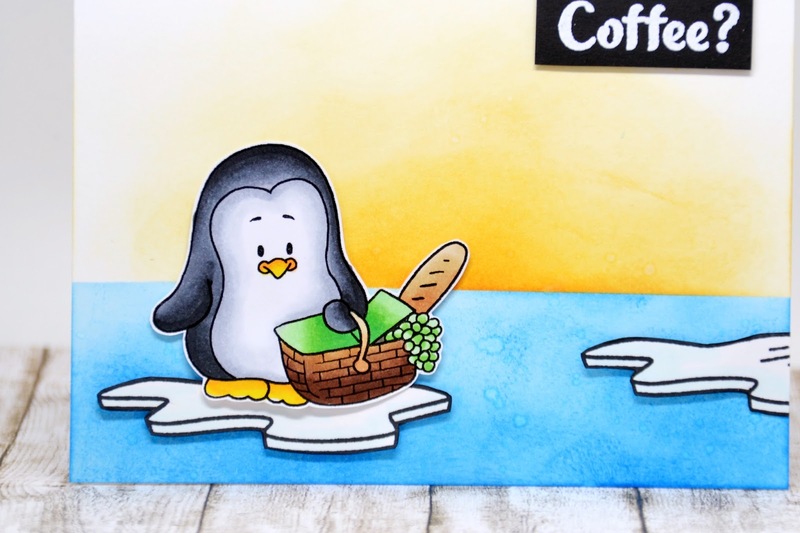 I created a beach scene with some fishies from the Lucky Duck stamp set. Just simply mask off at the horizon line and add matching colors above / under it. 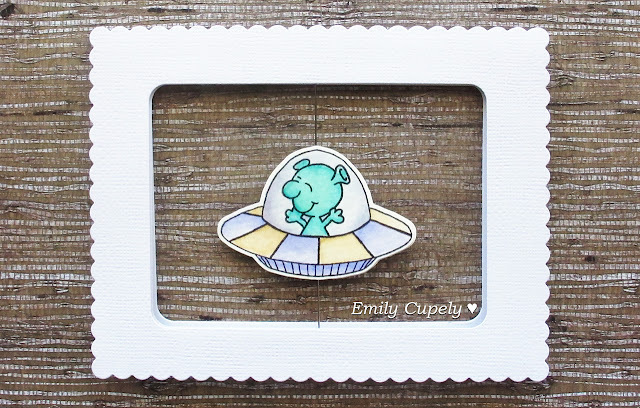 After that, I grabbed my cloud die and placed the sentiment on the the paper cloud piece. If you add glossy accents on the sunglasses of the duck, you'll get a nice finishing touch! 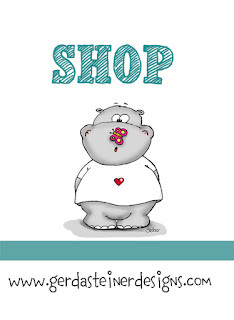 Gerda Steiner Designs - Gopher it! Hi guys! 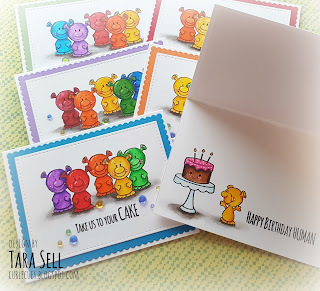 It's Tara from Curl E. Cue's and I have a super fun project using the adorable squirrel from the Happy Fall stamp set to share with you today. These little squirrels just tickle me! They are so cute! 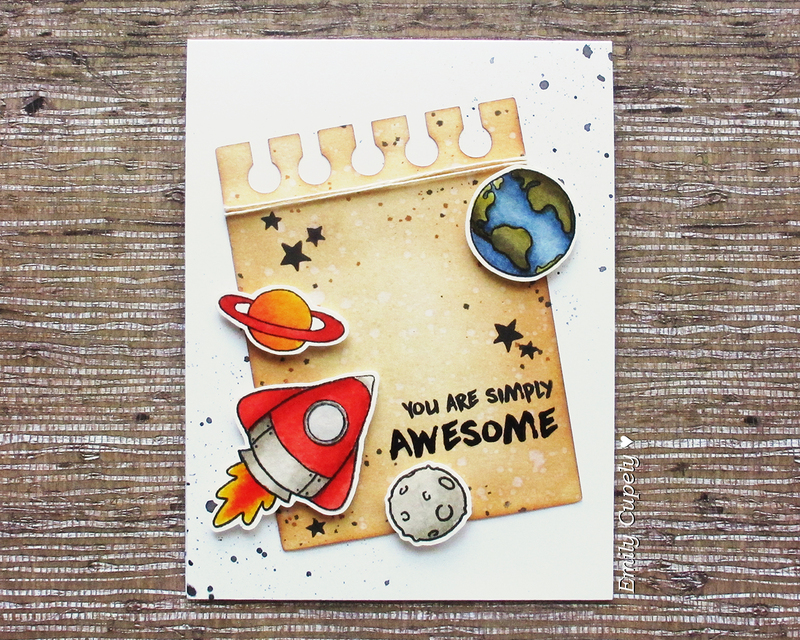 To create the background I die cut some trees out of the same Neenah card stock that I used to create my card base. 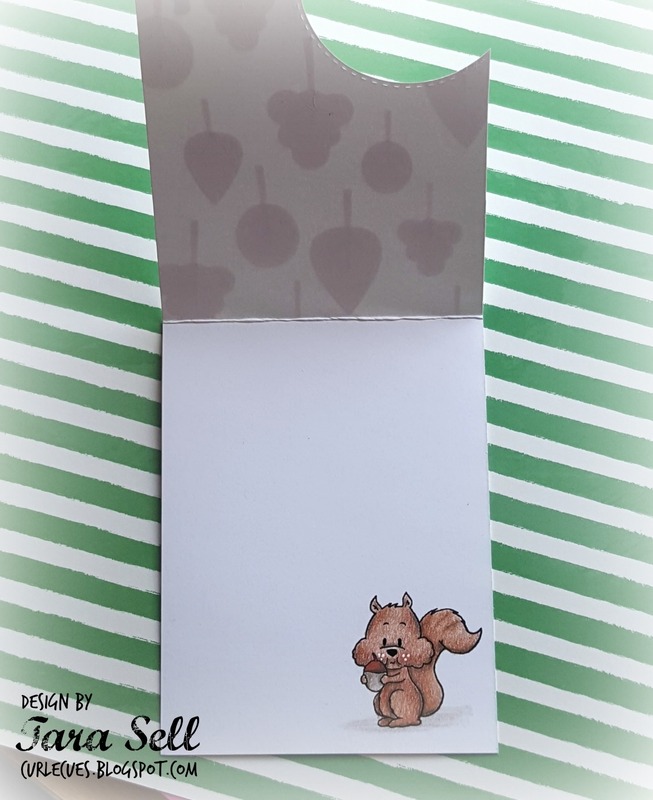 I glued them directly to the card base without coloring them to create a nice, subtle forest for my little squirrel to hang out in. 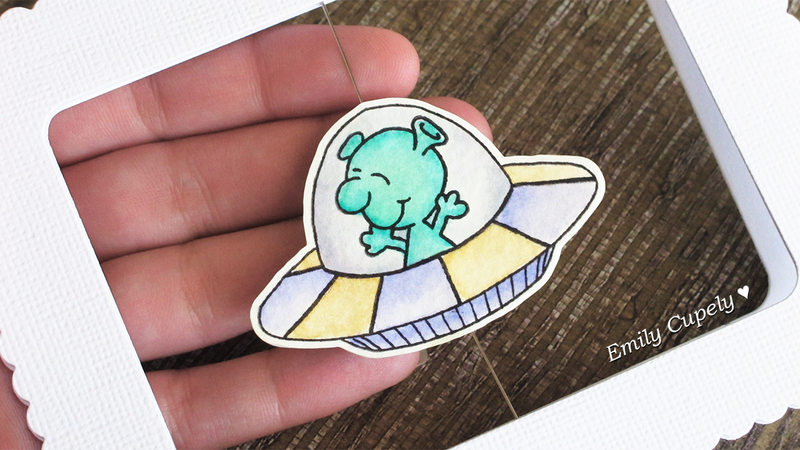 Once I had the trees all glued on I die cut a portion of the front of the card base with a stitched circle die. 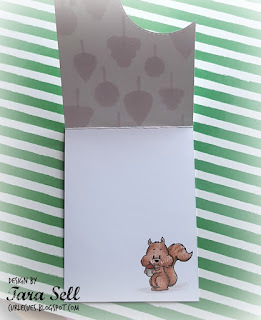 This makes a window for my squirrel so he can be on the inside and the outside of the card at once! My sentiment is nice and simple to go with the theme. To me, that squirrel looks like he was surprised while he was munching on that acorn and you snuck up for a quick hi! I used my Prismacolors to color in the squirrel image. The trick to great coloring with the Prismacolors is to use a lot of layers. I also smooth things out with the blender pencil when I'm all done. The texture that this coloring medium leaves behind is so great for critters and fur! I hope you enjoyed the project today! Have a fabulous weekend and I'll see you all next time! Thanks for stopping by! Bye! It's Yolanda here, from Scraping Time. Today I would like to share a new card with you! It's a long time since I wanted to make something with "Gopher it!" 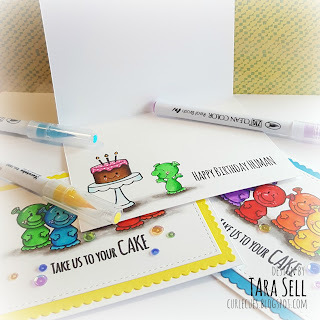 clear stamps. This gopher is so much fun and I wanted him to be the main focus of my card. I die cut a false stitched square on Neenah white paper and I stamped the "hello" sentiment from "Just sentiments" clearstamps set. 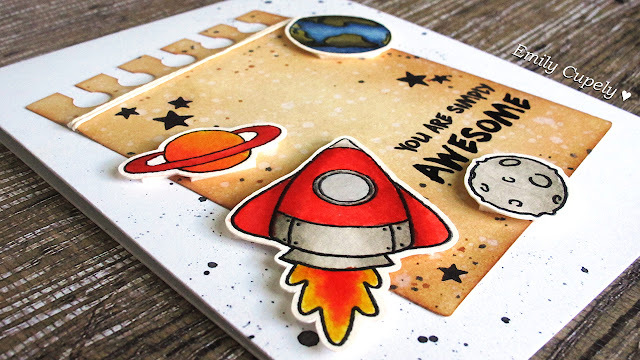 It´s a bold stamp that looks gorgeous in any colour. I used Lawn Fawn ink this time. Then, I did partial die cutting for making my window and I started working in the second part of the card. I die cut again a square and with a pencil I traced a soft line to know where was my window. 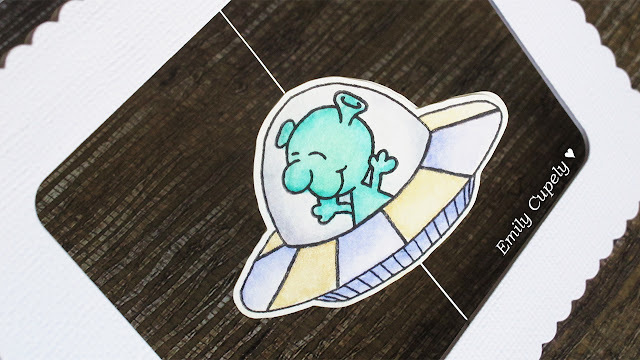 Then, I stamped the gopher and I coloured it with Spectrum Noir markers. Then, I put some glossy accent on its nose. I masked it and inked some clouds with Memento Blue Sky ink. I put my two panels together but I wasn't so happy with the result since the window seemed to be so empty. That's why I put this twine following the curve of the die. I made the tiny bow and sticked it with a couple of micro glue dots. I added some enammels matching with the yellow tones. 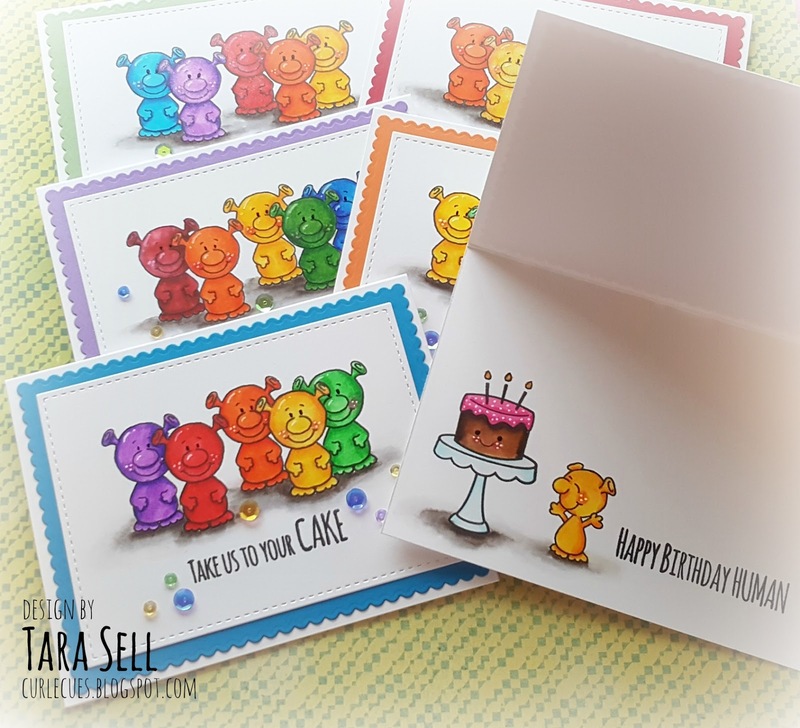 Finally, I made my card base with a cream cardstock and I used a plaid decorated paper to give some colour to my finished card. I hope you enjoyed the result and see you soon!! 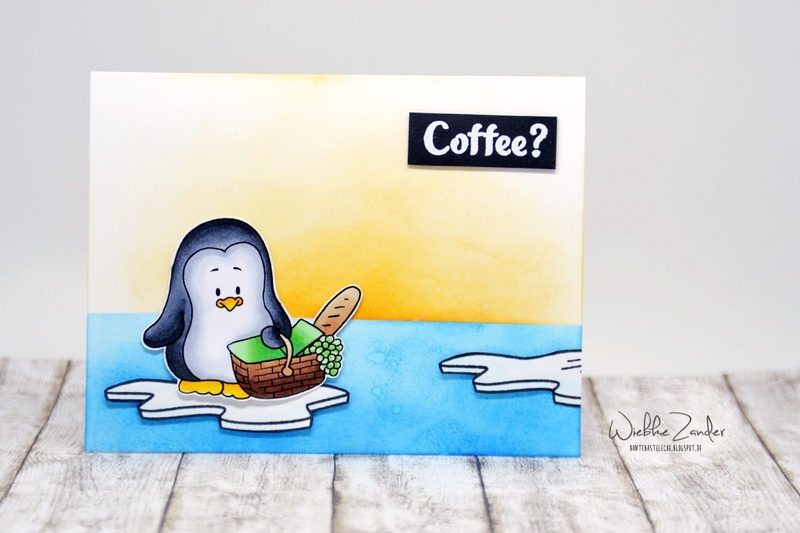 It's Wiebke here today and I'm here with a new project! 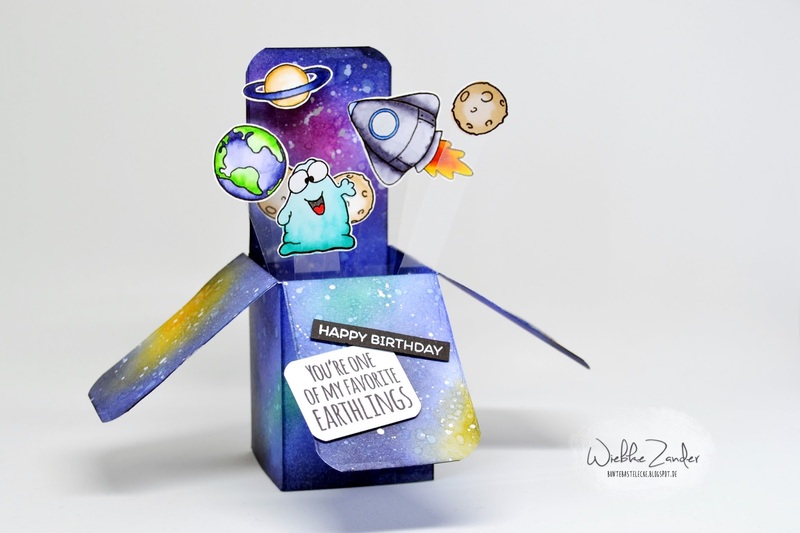 And this time it's not a card, but a box! I used the always awesome Alien Invasion and Blast Off stamp set for it. So let's get started! 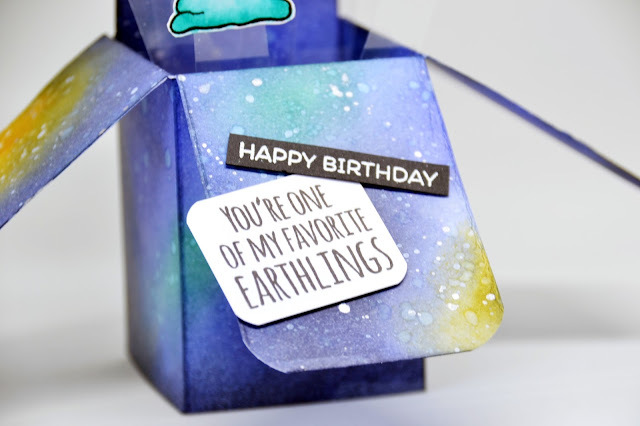 To create that box, you'll need a little a short guideline on where to cut and fold which piece. I grabbed mine from a friends blog (Birka). It's written in german, but you can also look at the sketch to see how it's working :) Before I put together the box, I created the universe background while the piece of paper is still flat. 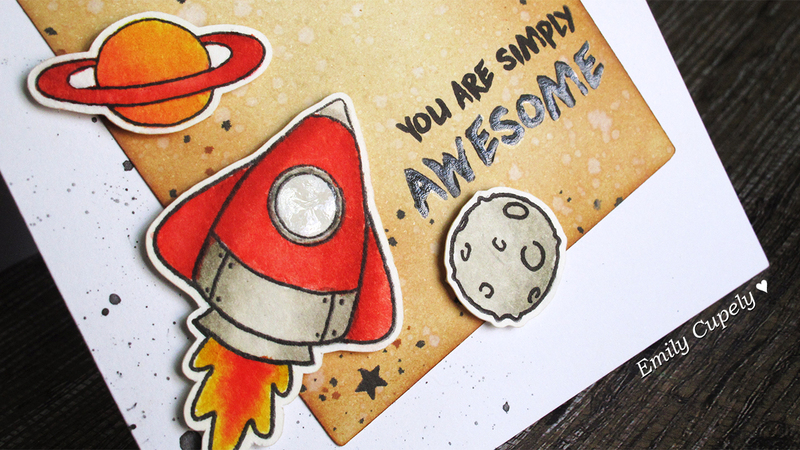 To do so, you'll just need some Ink Pads (like Distress Inks) in navy blue, black and maybe some more colors for some lighter spots. When your background is finished, just sprinkle some white (and silver) splashes on it - they're supposed to be stars. After that, I glued the box together and placed my elements on it and in it. When you glue your planets and aliens on a stripe of Acetate and all of your elements are like up in the air "flying" around.